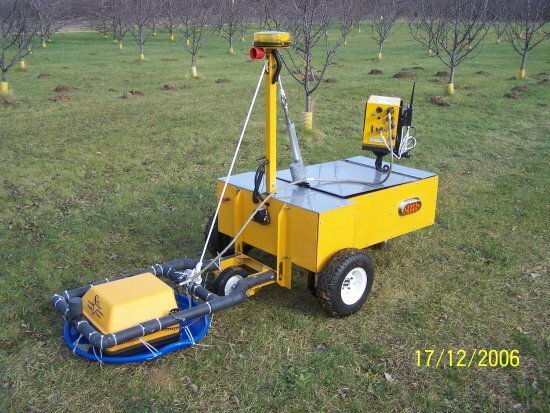 This unique remote operated vehicle or R.O.V. has been developed by Worksmart, Inc in order to accomidate unique customer requests. This vehicle has the ability radar scan in areas other wise unsafe for a technician to traverse. The R.O.V. 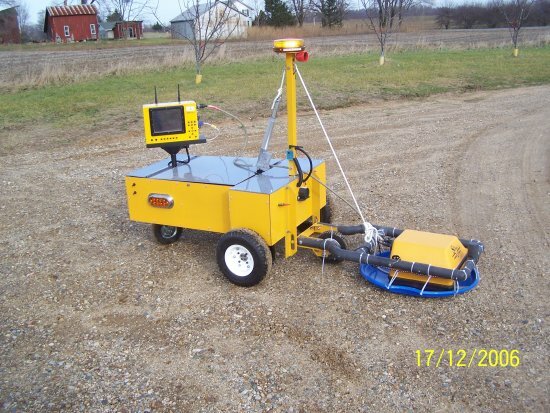 uses our USRADAR 500 MHz or 250 MHz ground penetrating radar antenna and modified controller to radar scan subsurface at a pre-selected depth. The scan information is then transmitted to the operators monitor for interpretation.